Your guide to the guides to the resistance. Each of these authors would likely agree that any movement capable of effecting large-scale change needs to extend beyond self-identified radicals. If there is a silver lining to Trump’s election, it’s the sheer number of people joining the resistance. But Clinton’s defeat and the rise of the far Right have also kicked off a round of soul-searching about what that resistance should look like. The Left’s tools, tactics and strategies haven’t stopped a decades-long rightward drift. So how can we do better? A number of new books set out to answer that question. Jonathan Matthew Smucker, author of Hegemony How-To: A Roadmap for Radicals, also wrestles with the Left’s more insular and self-limiting habits. A not-insignificant number of leftists, he argues, have come to fetishize their position as righteous outsiders and have lost faith in the ability to win power at the highest levels. “Do we believe that power will be inspired by our brave acts of eschewing power?” he prods. Instead, he urges the Left to mainstream the movement and embrace power. Rules for Revolutionaries: How Big Organizing Can Change Everything, by former Bernie campaign staffers and longtime organizers Becky Bond and Zack Exley, takes up a similar call to aim big. Their book also offers perhaps the most thorough account to date of Bernie Sanders’ presidential bid, with fascinating insights for those itching for a behind-the-scenes look. But Bond and Exley believe the primaries offer an empowering model for other progressive work. 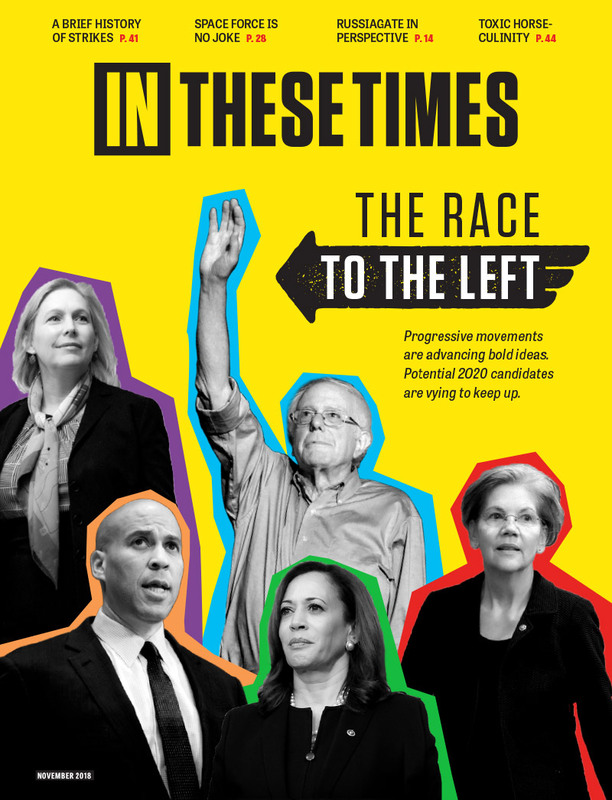 Small-donor fundraising and big asks—complemented by a capable volunteer infrastructure—can bring the seemingly impossible (say, a grumpy socialist septuagenarian becoming president) into the realm of the possible. 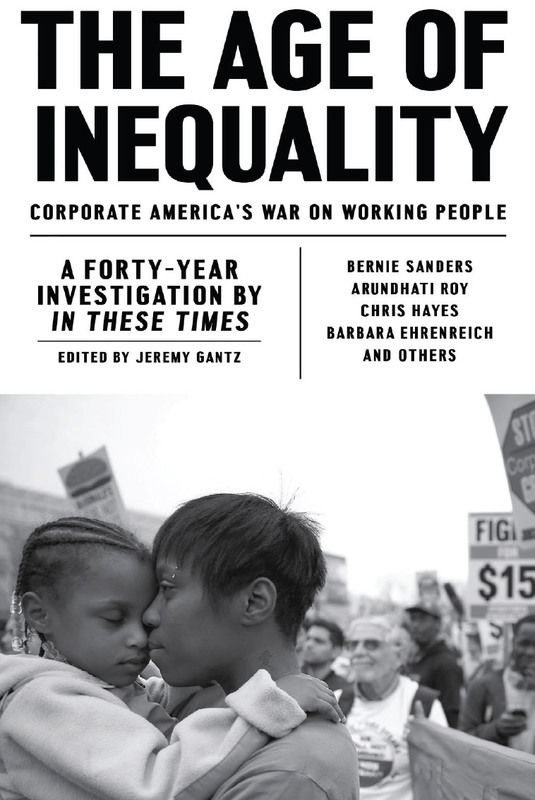 For Jane McAlevey, however, an SEIU higher-up-turned-critic and author of No Shortcuts: Organizing for Power in the New Gilded Age, this kind of “big organizing,” intended to scale up quickly and change national conversations, stands at odds with the kind of deep leadership development needed to transform workplaces and communities over the long haul. She emphasizes the need to return to the rank-and-file organizing that characterized the height of the Congress of Industrial Organizations (CIO) in the 1930s and 1940s, which won policy changes that enabled widespread unionization and put America’s entire working class on stronger footing. Thinking of these books’ approaches as tools—not divergent worldviews—allows us to see where they complement rather than contradict. “There is a direct and profound relationship between leadership identification … and building powerful mass-scale movements,” McAlevey writes in her introduction, a sentiment echoed in Rules for Revolutionaries. Each of these authors, for instance, would likely agree that any movement capable of effecting largescale change needs to extend beyond self-identified radicals. Similarly, each pushes for drawing clear distinctions between activists (people who show up) and leaders (people who get other people to show up), and advocates for organizers to create more of the latter. Sociologist Zeynep Tufekci’s Twitter and Teargas: The Power and Fragility of Networked Protest, an exploration of the kinds of decentralized protests that emerged in Istanbul’s Gezi Park, Cairo’s Tahrir Square and New York City’s Zuccotti Park, also offers insight into the leadership question. “Although participatory leaderlessness and horizontals are a source of strength in some ways, it is also a treacherous path over the long haul,” Tufekci warns, criticizing—as Smucker does—a leftist tendency to distrust formal leadership. One of Tufekci’s greatest contributions in Twitter and Tear Gas is a thoroughly sourced corrective to the idea that smartphones and social media fuel apathy. She details the central role technology has played in the resurgence of global uprisings, by offering on-ramps to levels of engagement that previous generations of organizers would have envied. Eric Liu’s You’re More Powerful Than You Think: A Citizen’s Guide to Making Change Happen feels perhaps the most out of touch with the post-Trump world. He takes the view that ordinary citizens waking up to their own power can tip power away from the haves and toward the have-nots, citing everything from #OscarsSoWhite to the Russian Revolution. The assessment isn’t wrong on the face of it, and the book includes some evergreen reflections on how power operates, such as that people consent to be governed and can withdraw that consent in various ways. But in Trump’s America, it is unlikely that the kind of “active citizenship” Liu pushes will be enough to stem creeping authoritarianism without taking on the underlying economic and political factors that led to his rise. What emerges across the readings (save for Liu, perhaps) is a loose outline of the next Left—the emerging patchwork of movements that, in all their complexities and complications, will shape the anti-Trump resistance. It’s networked and tech-savvy, interested in disrupting business as usual, with a flair for direct action. Its whiter and more mainstream corners are attempting—in fits and starts—to ingest the lessons of forebears like the Combahee River Collective, which (as Kauffman details) cautioned against the larger-than-life cults of personality and white male leadership that defined the New Left. For any movement to succeed in the United States, it has to be able to speak authentically to the hopes and needs of an extremely diverse and multiracial country. In part thanks to the Sanders campaign, this next Left is more explicitly interested in electoral politics, and in finding a synergy between the barricades and the ballot box. As McAlevey makes clear, however, it also tends to lack the hard organizing skills that have pushed other movements—like New Deal-era organized labor—toward success: building the leaders and durable infrastructure that will enable whirlwind uprisings to carry on. Guerilla Warfare! Question of how to resist-answered! It's past time for any other form of resistance, especially reading! It is easy. Do not get carried away and focus on core issues only. Allow those on the fringe to pursue fringe issues, no need to drag the core off into all sorts of exclusionary issues. Core issues are clear, universal health, a living wage, equal access to democracy and equal access to justice. This is what was lost by being distracted by fringe issues pushed on the left by main stream media and the corporations paying for the, focus on core issues. Then beyond that you have important secondary issues which can never ever be addressed unless those core issues are tackled first, the environment, the war industrial complex and corruption. Beyond those are more issues but foolishly pursuing those whilst abandoning the core and the secondary issues which our future survival relies on are insanity. Any attempt to distract from those issues should be driven out because the only purpose of those behind those foolish issues, will be seeking to break up the left for exploitation by the corporations.